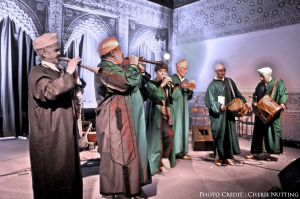 This May 15th – 17th, 2014, the foothills of Jajouka, Morocco and home of Bachir Attar will play host to the very first festival featuring the Master Musicians of Jajouka. Attendees of the festival will have the opportunity to experience the enchanting trance like sound and magical music of the Jajouka Maalimin accompanied by Bass player and producer extraordinaire, Bill Lawell. The rich diversity of the repertoire of the Master Musicians of Jajouka led by Bachir Attar boasts ancient and new renditions whereby Jazz, Dub and experimental improvisations by Bill Laswell on Bass merge merge together on the center stage. The Master Musicians of Jajouka is a group led by Bachir Attar, from the village of Jajouka near Ksar-el-Kebir in the southern Rif Mountains of Northern Morocco. The inhabitants of this small village are from the Ahl Sherif (“the saintly”) tribe. The Attar clan of Jajouka is the founding family of Jajouka and keepers of one of the world’s oldest and most unique surviving musical traditions. The music and secrets of Jajouka have been passed down through generations from father to son, by some accounts for as long as 1,300 years. 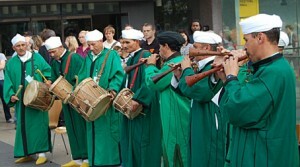 The musicians of Jajouka are taught from early childhood a complex music that is unique to Jajouka, until they finally become malims or masters. They possess baraka, (good luck) or the blessing of Allah, which gives them the power to heal, and the endurance required to play some of the most intense and complex music around. 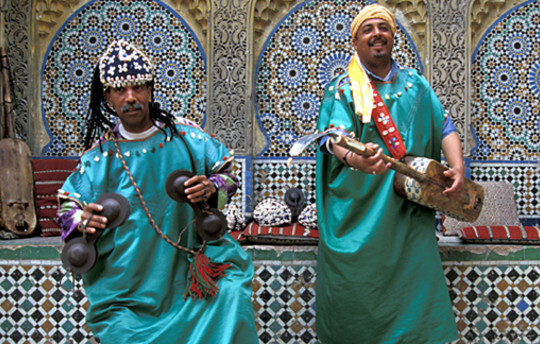 The Master Musicians of Jajouka are all descendants of one family, the Attars. Attar is a Sufi watchword and a deeply mystical name meaning “perfume maker”. Brian Jones discovered the Jajouka sound and recorded the group in the 1960’s. He introduced their music globally through the world music scene, via the recording “Brian Jones presents the Pipes of Pan at Jajouka“. Since then, the band has collaborated with monumental musicians such as the Rolling Stones, Patti Smith, Maceo Parker, Ornette Coleman, John Zorn and Howard Shore. 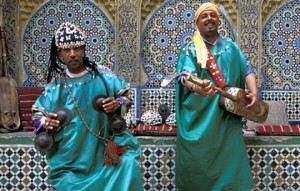 The Master Musicians of Jajouka have toured internationally for over thirty years while keeping Jajouka as their home. In 2013, “The Road to Jajouka – a Benefit Album” was released on Howe Records featuring dozens of well-known musicians. The Master Musicians of Jajouka were official musicians of the Sultans and Kings of Morocco, hired and fully devoted to perfecting their art. In modern day times without this form of patronage and with the decline of many recorded formats and traditional record companies, the music of the Master Musicians is endangered of disappearing completely. Master Musicians of Jajouka led by Bachir Attar the band led by Bachir Attar is comprised of eight to ten musicians who master a variety of unique instruments such as the Ghaita (similar to an Oboe), that they play in unison, with the occasional improvisations by Bachir, the band leader; the Tebel ( double-sided goat skin percussion played with two sticks ) ; the Lira (a bamboo flute ); the Guembri, ( three-stringed lute ) and call-response vocals. The current band also features a violin player. 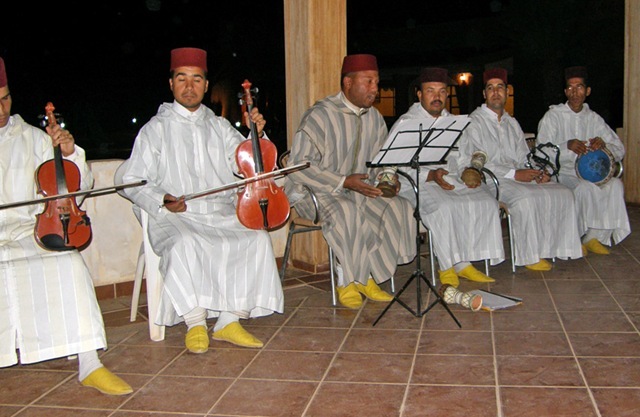 Location of Jajouka: Jajouka is approximately 1 ½ Hours from Chefchaouen and 3 hours from Tangier. The Festival and the village of Jajouka can be accessed by private transport, train or taxi.